Motorhome batteries need some extra TLC during the winter months – particularly if your vehicle’s not getting much use. 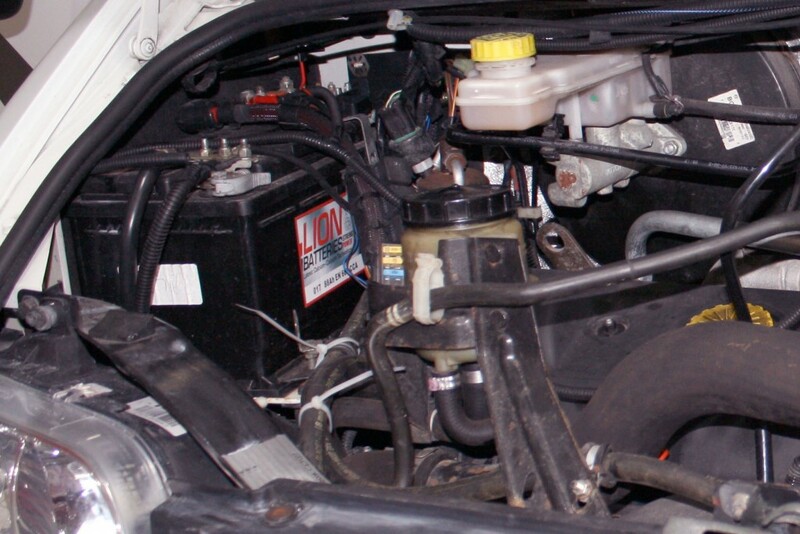 Although the vehicle is rested, many of the electric systems can still be operating in the background, draining that all essential power from your battery. 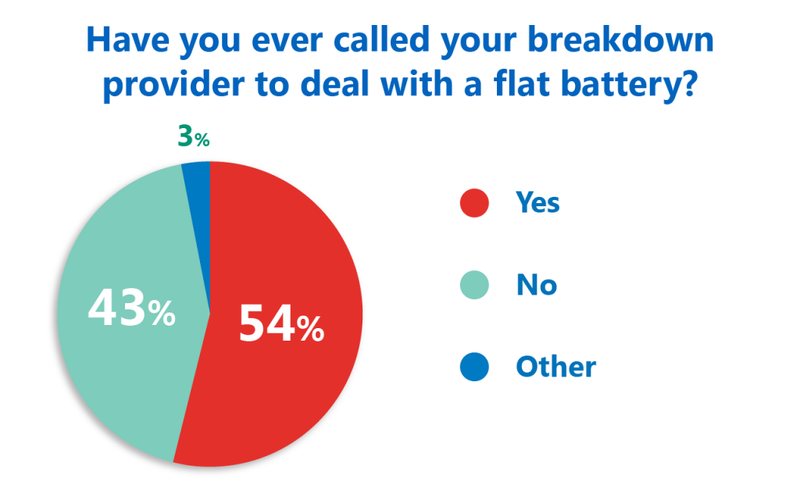 In last month’s poll we asked if you’ve ever called your breakdown provider to deal with a flat battery. Whilst many of you will make that call out to jump start your motorhome – almost as many seem to have your own plans in place. Solar panels were a favourite solution with some of our voters. More than half have called a breakdown provider – getting 54 per cent of the votes. Forty three per cent voted no to calling out help for a flat battery and 3 per cent voted other. Michael Charlton has invested £14 in a solar panel to keep his electrics ticking over. Lucky Pat Bradley has a helpful mechanic as a neighbour. Caravan Guard’s motorhome insurance policies automatically come with roadside assistance breakdown cover, however, this does not include homestart cover. If policyholders cannot start their motorhomes at home due to flat batteries, they can still contact our breakdown provider AXA Assistance for homestart help, subject to a call out fee. Even breakdown policies which do include homestart generally have a limit to how many callouts you can make. So a motorhome jump starter or set of jump leads might be a wise investment as you could use these time and time again to get you back on the road quickly. What do you make of the results? Let us know in the comment box below. Thanks for that Ian. Just to be clear, the batteries didn’t discharge when both were isolated. I now disconnect every time I store it for more than one day. I am hopeful that in the spring, as day length and sun strength increase, that the solar panel will do what I hoped it would do. November and December were so dull in Wales that I guess there was very little coming out of the charger. I’m going to look next week to see how it has worked out. The 0.7amp draw assumes that all power using items are off (water pump, heater, cabin lights etc), but the Sargent unit is left on. I assumed the draw would be very low. I’m interested to know how you accidentally drew power from the vehicle battery instead of the leisure – how can you do that? I’m thinking forewarned is forearmed! But it does worry me that if I leave both leisure battery and van battery connected, the habitation equipment can draw down the van battery too. Shouldn’t there be some sort of one way valve to allow charging of both but discharge of just one? Thanks for other comments too. And to CaravanGuard for brilliant service and for hosting useful and interesting articles. Thanks for your feedback John and glad you’re all sharing your experiences so you can help each other out. I am surprised your electrics work in that way. There should be very little draw with everything switched off. Turning off the vehicle battery means that you have to reset the clock etc. (and open the doors manually) when you reconnect. So far as I am aware, when the control unit is switched off, the solar panel charges the vehicle battery only. When switched on (and it shows a draw of 0.3A just for that unit) the panel charges the vehicle battery first and when full changes over to the leisure battery. That is the Sargent unit installed in Swift etc. vans. I leave the control unit switched off when in storage. As I mentioned earlier, even in this dark winter, I have had no problems with the batteries since the solar panel was installed. I’ve a brand new motorhome on a Fiat Ducato chassis, and with a 100 watt solar panel. Both batteries flattened within 3 weeks. My dealer says the “caravan” electrics draw 0.7 amps even if everything is switched off. I didn’t expect it to drain the van battery, which I wrongly assumed was independent. This winter there was so little light that the solar panel was useless. So, a clear technical article on these issues, and do’s and don’ts would help insurers, breakdown companies and motorhome owners. Can anyone help? Now I switch off the leisure battery isolator, and the Ducato battery via the handy ignition switch red button. Now I also know why my dealer showed me the points to attach jump leads. But surely a) a system that drains the van battery is bad design, and b) why is the leisure battery switch so inaccessible as it has to be used so often? I had problems with previous van and once with current. The current van had a problem when we were on a rally for 2 days. I hadn’t noticed but we were accidentally drawing power from the vehicle battery instead of the leisure. Had no problems since fitting a 100w solar panel.